We are often asked if it is wise to fix an old piano or just buy a new one. With a grand piano it is almost always wiser to restore, refinish or refurbish your existing one. 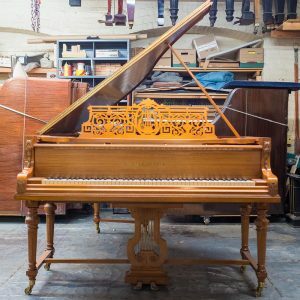 Older pianos, specifically the ones built in the late part of the 19th century are some of the highest quality pianos ever built. If you happen to have one of those beauties sitting in your living room, it would be a shame to do anything but restore it. 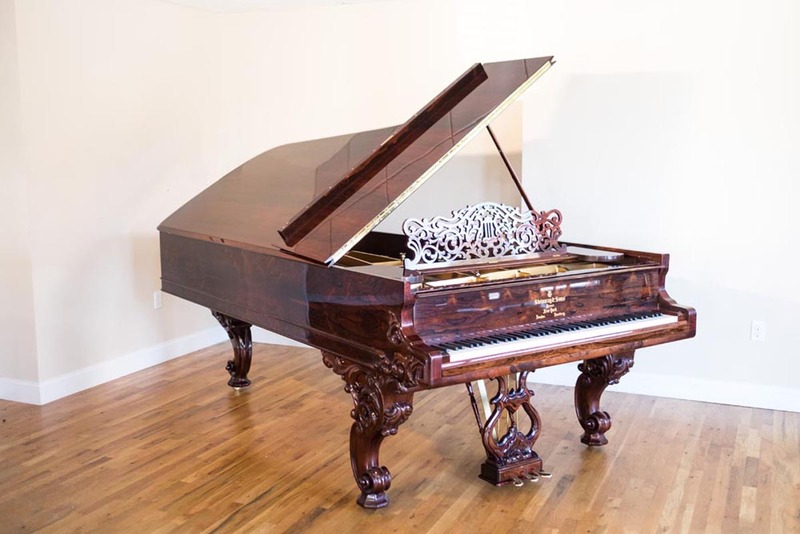 Today you will not be able to find any piano for sale that will match the quality and design of these older pianos. Majority of the older pianos were built from the finest woods of their time, but they were also constructed entirely by hand. These qualities allow older pianos to be superior to newer pianos in terms of how they were built and how long they will last. This should come as no surprise as things today, pianos included, are often manufactured in other countries in mass quantities in some kind of manufacturing plant, all in terms of lowering the prices. Restoring an older piano increases the lifespan; it can then be passed on for generations!